The Chameleon Returns is the continued drama of the McLaughlin Family. Lucky McLaughlin inherited the role of the Chameleon from his Father Brooks McLaughlin the original Chameleon who dies suddenly from Colon Cancer. The Chameleon is an individual who Rights wrongs perpetrated by the most evil of criminals and brings them to justice. If the FBI cannot bring them to justice; the Chameleon can. It is a story of the McLaughlin Family as the family grows.I hope you enjoy my second in a series of novels. Next Novel is called Charlie. Look for it. I am T. M. Nugent, Author-Poet. Welcome to my Saga of Lucky McLaughlin and his family of heroes. 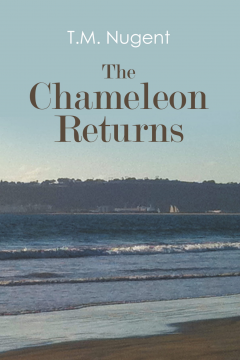 In this new novel, The Chameleon Returns you will enjoy an action-packed adventure of a unique man and his family. I hope you enjoy this book because I enjoyed writing it. I was born at Holy Cross Hospital in nineteen forty-nine. I Had an exciting childhood with five brothers and sisters, I have lived in California and had a residency in Nevada and Aguacate, Costa Rica. This Novel is my twelfth book, and I hope you enjoy it. This is the story of a black family that was living in poverty in the Deep South. Despite their circumstances their home was filled with love, unity, and respect. It is the story about how some race haters and the alleged Ku Klux Klan including; Police Officers, Pathologist, the Fire Marshall, and the County Coroner conspired to cover up the murder of five innocent children. This is the voice that the brother of the murdered children, after spending 30 years of his life searching for justice and closure. As a result of his lifetime search, in 2014 he was able to persuade some of the white residents of Woodruff County to meet with the FBI. Through his persistence and perseverance some of the white residents came forward with testimonies naming those involved. This is the autobiography of Kent Handy, who was born in Little Rock Arkansas in 1960. Kent lived there for five years until his family moved to Augusta, which was 90 miles away from Little Rock. He attended the Augusta School System until he was the midpoint of his senior year then he moved back to Little Rock. At that time he resided with his father where he was able to return to school and graduated with the class of 1981 from Little Rock Hall High School. In the 1982 Kent joined the Arkansas National Guard and served 6 years, at which time he was able to ETS in August of 1988. Four years would pass before Kent would leave Arkansas and move to Rochester, NY. Around the year of 1998 Kent obtained a job position with the company Xerox. He maintained his employment there until the work in his department was sent overseas in 2001. That is when he began to have the vision of owning his own company. In the year 2005 Kent’s vision came to life and he became the CEO of his own record label known as, Authority Records. Although Authority Records only had one artist, Tieara Da Nu Era, Kent was able to take her and build his label traveling across the country. They had performances in places like New York, Atlanta and Miami just to name a few. Kent had the opportunity to expose his artist to legendary artists like Omarion and Reginald Lavert, and he also arranged an event that brought Bobby Jones Gospel of BET to Rochester, NY. Despite the success that he was experiencing there was a pull on Kent’s heart he could not ignore, and he decided to leave the music business. 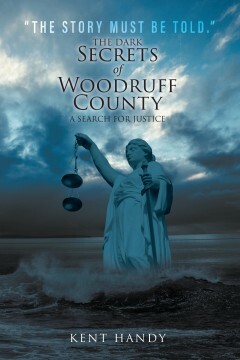 It was during this time he knew he had to write his book entitled, “The Dark Secrets of Woodruff County”, after he had been searching the country for 30 years for justice. This true story is about the tragic deaths of his family caused by the Ku Klux Klan in March of 1984 while they lived in Augusta, Arkansas.